Today, efforts to maintain unity are essential and we need to avoid things that might play into the hands of the enemy, said Mowlavi Nazir Ahmad Salami. 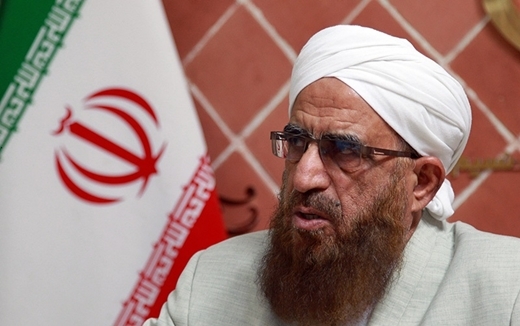 The enemies of Islam are using the weapon of discord as they seek to undermine Islamic nations, Mowlavi Nazir Ahmad Salami, a Sunni member of the Assembly of Experts told a gathering on terrorism, border geopolitics and security in Mashhad on Monday. “Today, efforts to maintain unity are essential,” he said, adding, “We need to avoid things that might play into the hands of the enemy. Reviving our revolutionary mottos and giving road-map status to the thoughts and instructions of the late Imam and the Supreme Leader have always prevented the materialization of the enemy goals, he said. Egypt’s Grand Mufti Bans Purchase of Facebook Likes!